In the Department for Lifelong Learning, alumni pass along their knowledge to children and adults. Claire P. Maher M’76 died on March 30, 2018. Her long career in education included 35 years with the Early Childhood Center at Wagner College. Robert Hicks, who served 16 seasons (1962–77) as the Wagner football coach, died on April 7, 2018. Jeanne Corbo died on May 13, 2018, in Staten Island. She served as director of career planning and placement from 1953 to 1993. 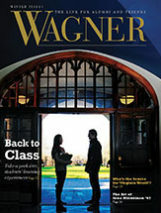 In 2018, the College celebrates 20 years of the Wagner Plan for the Practical Liberal Arts. 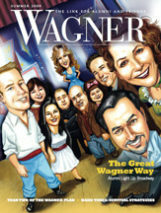 How has it influenced Wagner students? How do we train ourselves to make more rational decisions?